In honor of the upcoming Black Panther film, I decided to go with a first you may have missed tied to the film. 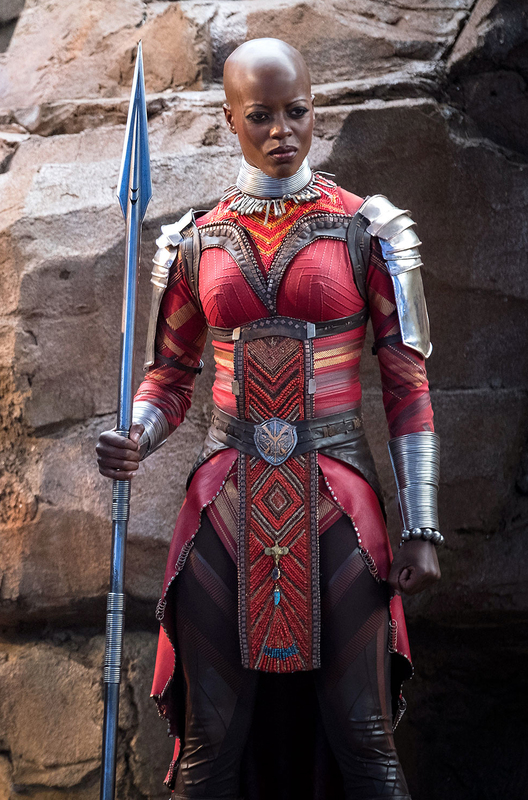 Ayo of the Dora Milaje. “If at first you don't succeed …” buy more first. Let's get some preliminary information out of the way. First off the Dora Milaje are an elite group of women warriors who we usually see guarding the king Black Panther himself. The Midnight Angels are an elite group of the Dora Milaje, so we are talking the best of the best female warriors from Wakanda. Ayo is one of the most developed and distinguished members of the Dora Milaje in comics, second only maybe to her partner, companion, and lover Aneka. The reason I decided to focus on Ayo for this edition of F.Y.M.H.M. is that not only does her appearance come first (sort of) but also because Ayo has already been featured in the MCU (Captain America Civil War), will have a large role in Black Panther and is also confirmed for Infinity War. Aneka is still a no-show at the moment. Ayo's first appearance is in Ultimates #1 (2015). While I would consider this a cameo as she appears alongside who we can assume is Aneka in a few panels, she does not speak and is never called by name. This brings us to Ultimates #2, in which she does get to speak and is addressed by name. Draw your own conclusion on first versus cameo on that one. I think for a character that debuted in comics late 2015 to show up in the MCU early 2016 is a pretty quick turn around. Unless they added a name for her character late in the film's production it would mean that someone over at Marvel Comics and Marvel movies would have had to have at least a small correspondence about Ayo at some point. In order to write her into the MCU so close to her comic debut takes some type of back and forth. This is a chicken-egg situation, to say the least. Did Marvel movies tell Marvel comics to shoehorn her into the books knowing they needed a female lead for Black Panthers story or did Marvel Movies see what Marvel comics had planned and wanted to ride the wave? No idea. Fun Fact: the actress who plays Ayo in the MCU (Florence Kasumba) played a notable Amazon in Wonder Woman. Marvel DC cross-pollination oh yea! MCU appearances are not the be all and end all of the characters so let's dive into Ayo's comic book importance. She is not a one and done throw away at all. Although she originally appeared as just T'challa's bodyguard in Ultimates she went on to play a major role in the first arc of the Ta-nehisi Coates written Black Panther run. Here is where she really gets to shine donning the Midnight Angels armor, turning against the beloved king and becoming a sort of anti-hero duo along with Aneka. Although I had mixed feelings with this arc it has a lot to offer in terms of story and action. If Black Panther is given sequels, I think Marvel Studios may seriously consider adapting elements of this arc. A plot to overthrow a king, a female bodyguard, friends turned enemies in super cool armor and a host of other great stuff throughout. Besides her run in Black Panther, Ayo also starred with Aneka in the World of Wakanda series. I admit I never got past issue #1 myself and the series was ultimately canceled with issue #6. It is still a pretty ambitious start for such a new character and may grab more interest one day. So to sum things up on Ayo, while not successful as a book carrying lead, she along with Aneka are new and exciting additions to the Black Panther mythos. While i do not expect Ultimates #1 or #2 to become $100 books anytime soon (or ever), you never know. Just look at the first appearance of Multiple Man … I'm sure many didn't think it would ever fetch over $15 (a Giant-sized Fantastic Four #4 recently sold for over $350 graded 9.6). 61k print run and a whopping 6 covers. I like the hip-hop cover for P.C. (the Fugees! ), but the 1:50 Arthur Adams Galactus cover is pretty sweet and would be the one to get for spec purposes and won't break your bank. 36k print run across 4 covers here. The original is a great cover but, in my opinion, the Marco rudy *edit* (actually drawn by Jim Cheung thanks alana)* 1:25 is what you want to grab. There is also a Fred Hembeck 1:10 and a 2nd print which is a title recolor of the cover A. All priced pretty fair at the moment. I think the Marco Rudy cover you speak of is for The Ultimates2 (squared) #2 not Ultimates #2. Your absolutely right it is cheung not rudy who drew the cover i will edit the name thanks.